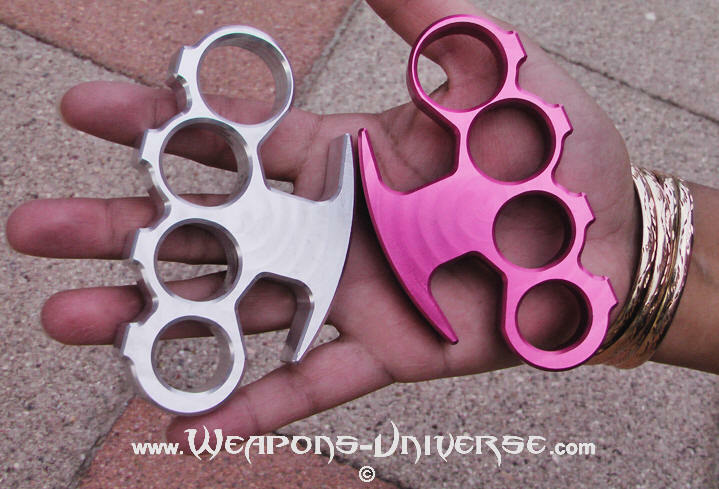 Watch the video of these girl's brass knuckles being made!!! Warning - Registered Trademark and Patent Pending, we will sue counterfeiters. 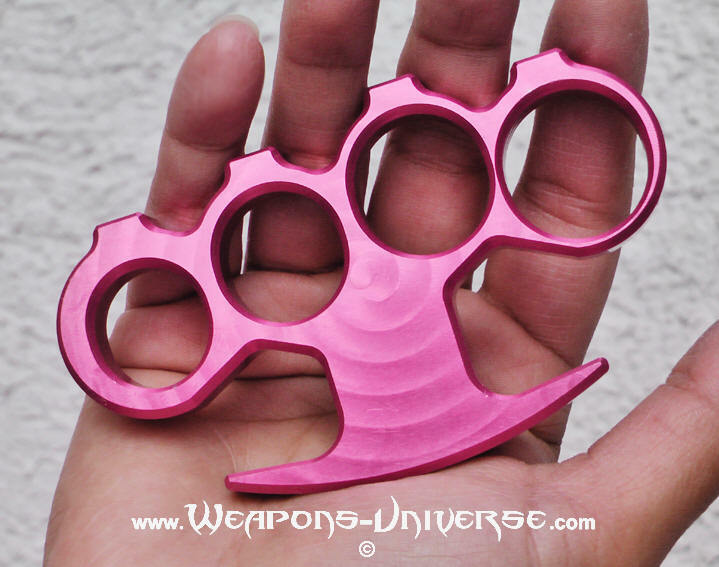 These knuckles are machined from aircraft structural grade billet aluminum 2024-T351. 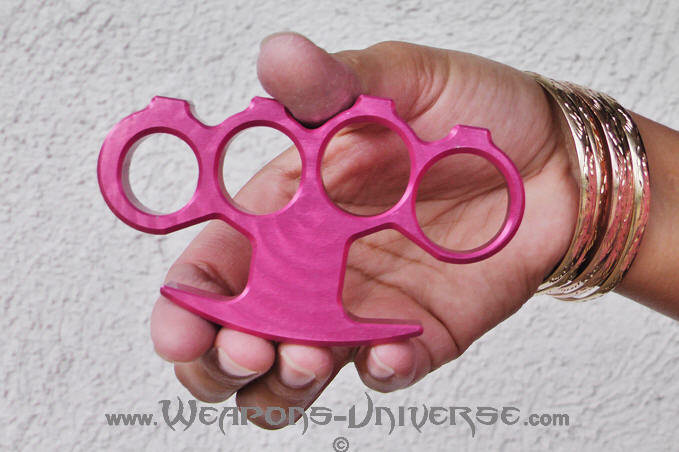 This alloy gives the product superior strength and flexibility... definitely not your typical knuckle made in China which are imported cast products which contain unknown alloys. 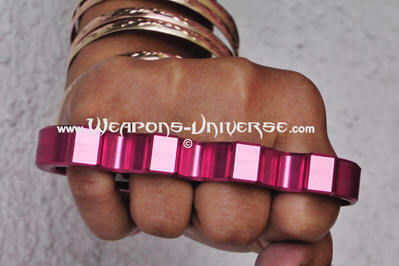 These brass knuckles being CNC machined from structural airframe quality billet blocks assures impossible failure when it counts most. This is a professional grade product and has been chosen by military personal around the world. They were engineered in CAD to perfectly fit the human hand structure. These are highly desirable, high quality collectible pieces. Very limited supply, so get one before they are permanently sold out! Please choose a different knuckle.